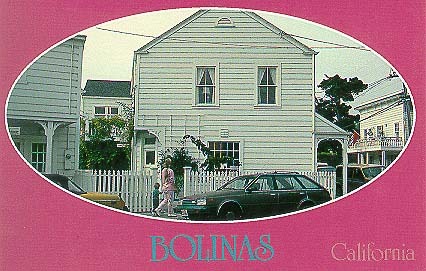 Bolinas is a small village located on the Pacific Coast of Marin County north of San Francisco. There are no road signs telling you it's there; a ploy by residents to keep visitors away. (It doesn't work!) We were there in the '70s when it was still an old hippies' town to watch a local production of The Music Man.